Ivan Dalos’ AVIE’S FLATTER, the likely Champion 2-year-old in Canada for 2018 and headed to the Tampa Bay Derby next month, is one of 10 Canadian-breds on the big list of sophomores nominated to the American Triple Crown. 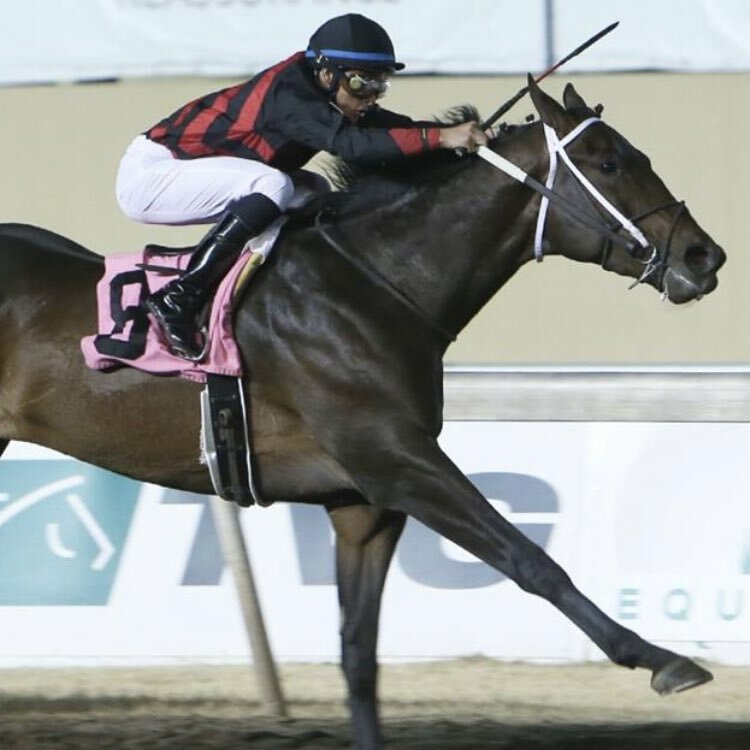 The very promising TONE BROKE, bred by Sean and Dorothy Fitzhenry, was a 15 length maiden winner, an allowance winner and then 4th in the Springboard Mile. The main goal for the colt is the Plate but he is currently in Dubai trying to get into the UAE Derby. Donegal Stales’ Green Fleet, bred by the late Bill Graham, is an improving colt who was third in a maiden race at Santa Anita recently behind the highly regarded Nolo Contesto and recent big winner Omaha Beach. One Bad Boy was second to the aforementioned Omaha Beach last weekend and the good Euro colt Sergei Prokofiev, bred by Anderson Farms, are also on the list. There are a handful of other Canadian-owned, US bred horses on the list as well.